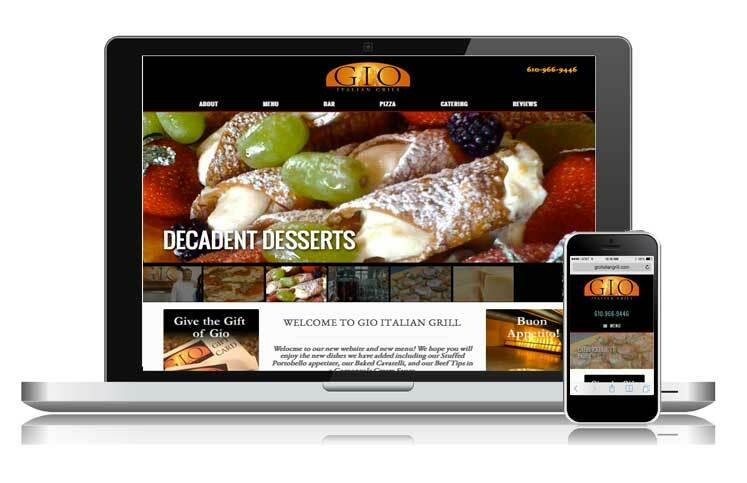 We recently launched a newly redesigned and re-envisioned website for local restaurant, Gio Italian Grill. We worked closely with the owners to capture the essence of their brand; stylish, unique, authentic, upscale. We added a lot of bold, enticing images and developed an editorial calendar to help them tell their story throughout the year. This not only keeps the site fresh, it aids in SEO and social sharing. Part of the strategy also was to create a site that would be manageable by them. They wanted to be able to add new items to the menu or post a special occasion menu without having to call us. To achieve that, we built their site on WordPress. We also provided them with a menu tool that will make it simple for them to add, change or update items without having to touch a line of code.